Matt Hilton’s Joe Hunter Thrillers to be Published in the U.S.
Bestselling British author Matt Hilton and indie-publisher Down & Out Books have joined forces to publish books 7, 8 and 9 in his Joe Hunter thriller series for the first time in the United States. 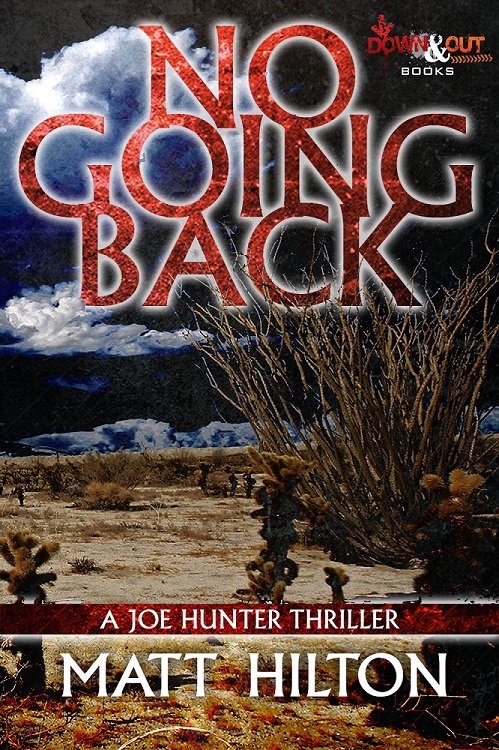 No Going Back, the 7th book in the series, finds Joe Hunter helping Jameson Walker find his daughter and her friend who went missing at a gas station in the Arizona desert. As Joe picks up the girls’ trail, he discovers that other young women have also disappeared in the area, and comes across the brutish Logan family. 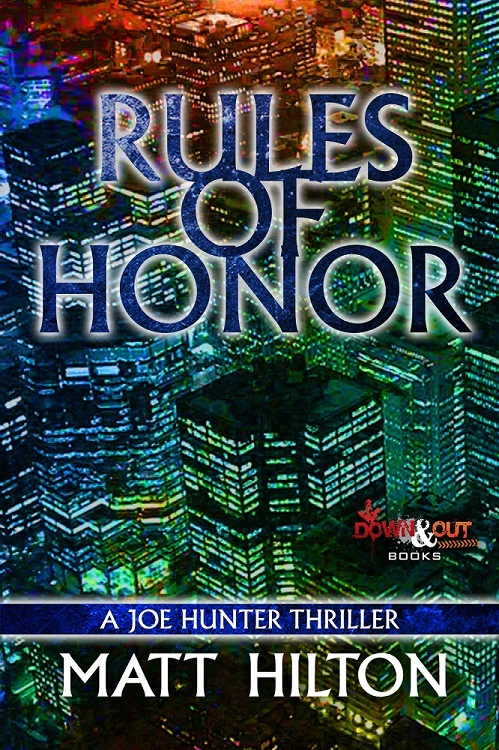 Rules of Honor finds Joe trying to prevent his pal Rink from seeking vengeance when his father is brutally murdered because his mother, Yukiko isn’t telling everything she knows. But when there are more vicious deaths — all of them elderly men known to Yukiko — it becomes a matter of honor to uncover the shameful secret that lies behind the murders. Since the killer isn’t playing by the rules, Joe doesn’t care what he breaks to ensure Rink gets his revenge. 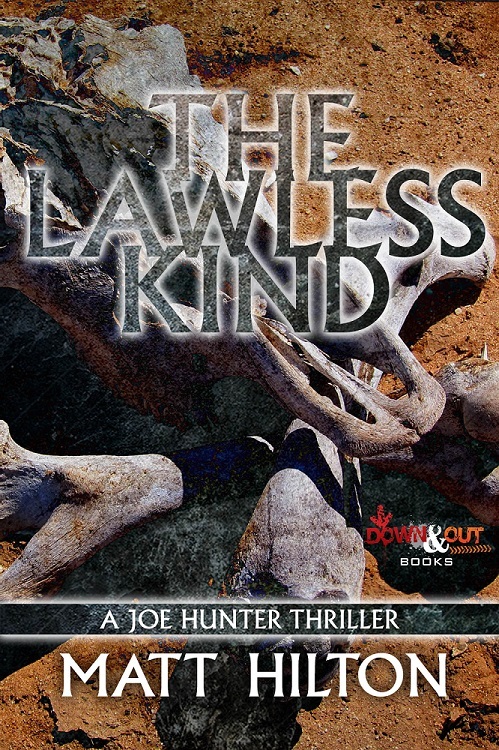 In The Lawless Kind, Joe helps bring an end to a Mexican cartel that preys on the people they smuggle across the U.S. border. Once resolved, Joe’s mission leader and mentor admits the mission was not the real reason for Joe to be summoned. His mentor’s great-grandson has been abducted by the leader of one of Mexico’s largest drug cartels. Joe’s mentor, Walter, will do whatever it takes to get the boy back. And he knows Joe is the man for the job. Down & Out Books, an indie-publisher based in Tampa, FL has been serving up the best crime fiction since 2011. To obtain a galley version (PDF, mobi, epub) for review, or to coordinate an interview with Matt, contact Christy@DownAndOutBooks.com. Visit Matt Hilton online at http://www.matthiltonbooks.com/. Set off the fireworks for Down & Out takin’ the hilt of HILTON all the higher … across our mere pond. It’s gettin’ more thriller-ing around the world when Joe Hunter takes over select portions of America.